Soon I will be leaving Ireland and heading home to Maine. Lots of work waiting for me. I know the greenhouse needs to be opened up and the benches cleared off for all the flats to be sown. I must admit, that coming to Ireland where the fields are already greening up and many plants are already in blossom, has inspired me for all that awaits. 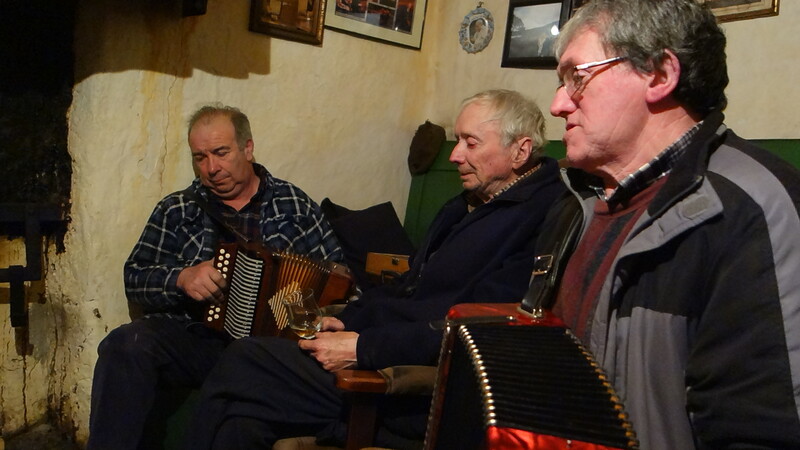 Here in Ireland, I have been visiting with friends and sharing in some of their old but continued traditions. Wednesday evening we went to visit our friends the Piggotts, twin brothers who live high up in the hills and host a Rambling house once a week. 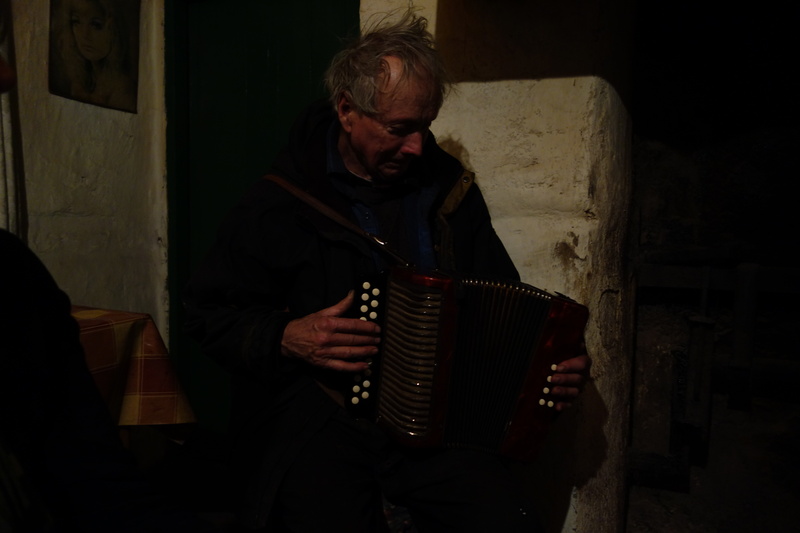 A rambling house is an old time tradition here in Ireland, it is a gathering of neighbors and friends who come together in the evening to tell stories, talk about the days events, and play music and dance. The brothers have been hosting a rambling house once a week at their farm, for over 20 years. They are 84 years old and continue to meet with fellow neighbors to sit by the glowing hearth and share stories and music. The night we went, there were seven of us and four who played the accordion. I brought some walnut currant scones to share and we had the most amazing time listening to the music and hearing some old Irish tales. A broom dance was preformed and young Jack O’Malley accompanied a few songs playing the spoons. 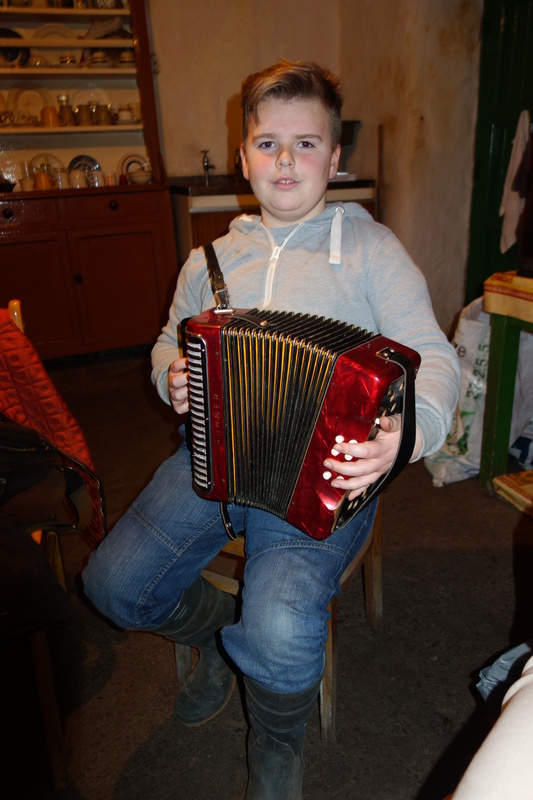 At twelve years of age, he is already an accomplished accordion player. The evening was truly a treat and it is always an honor to spend time with such fine people. These are the things that keep me coming back. The people, the landscape, and the farming traditions, also remind me of my own rural community back home. I am blessed to live in a place that also celebrates simple living and old time traditions. 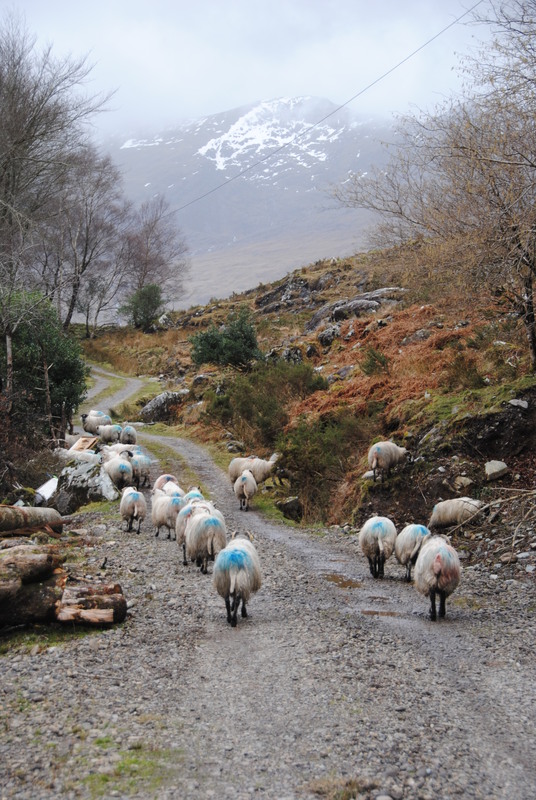 In Ireland, I am always in the same rural community on the south west coast, in County Kerry. The people and community remind me so much of my own rural home back in Maine. Farm people and thoughtful neighbors and from my continued visits, many of the people have become dear friends. 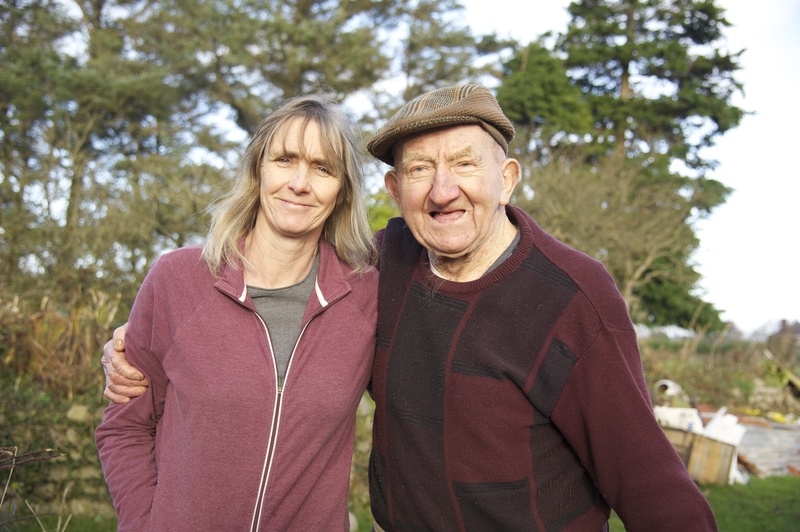 I love hearing their stories ( It’s hard to beat an Irish story teller) and learning about their culture. 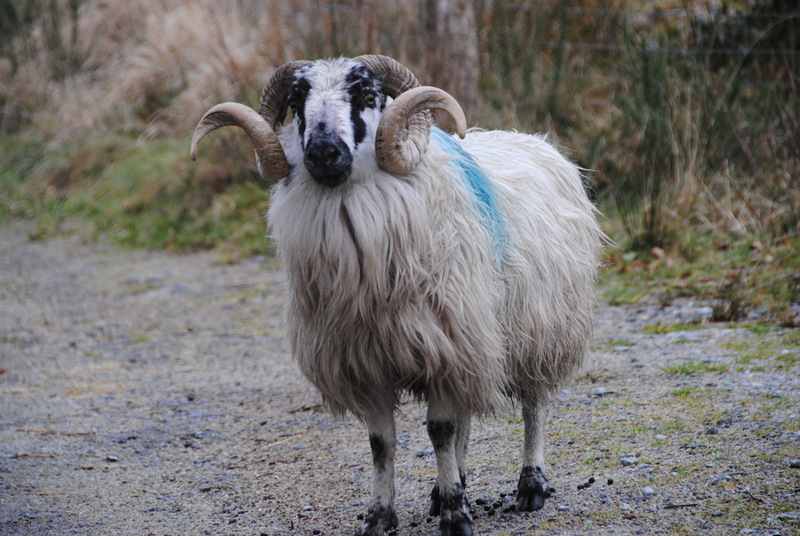 Our friend, Charlie ( pictured) lives just up the road and we make a point to always stop in for a chat. 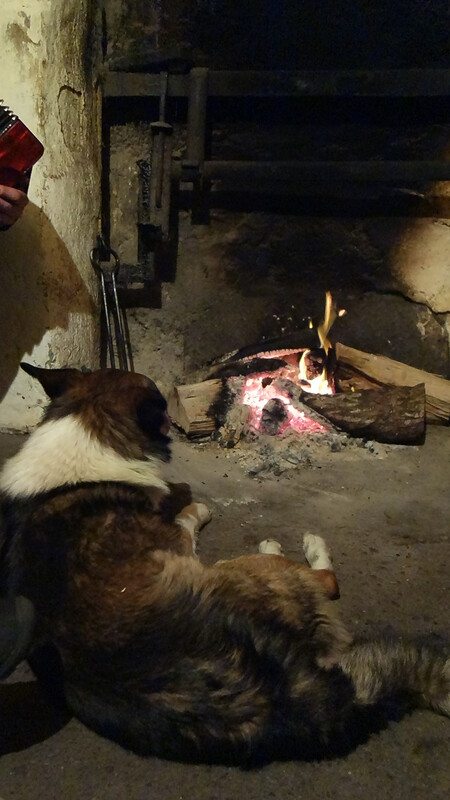 He always has a turf fire burning in the fireplace and often shares stories of his younger days farming. Also, as you can see…we’re not against having a fireside chat with the chickens who like to wander in back at home, either. It won’t be long before I am elbow deep in soil mixture, carefully placing tiny seeds into their pots. Leeks and onions first, some herbs, and then on to the tomatoes and peppers. Right now however, I am back on one of my trips to Ireland and cruising the countryside. A visit this morning to the Black Valley at the Gap of Dunloe to pass along a photograph . A sheep farmer ( 400 hundred head) had us take a photo of her buying a colt at one of the fairs last year. Ireland has had terrible weather during the last month…trees down everywhere and flooding. It was no easy task driving the flooded roads to deliver the picture, but we made it. Sally sat on the hood of her car, taking pictures, while I drove the windy roads through the gap. We often like to pretend we are on safari….ha. Sally is a good sport and doesn’t seem too concerned about sliding off the hood and down over the cliffs of the Gap. Also, we have found a wonderful Border Collie that we are quite tempted to bring along home with us. I forgot to mention , Rooney, the little Wire Terrier we brought back to the states during our last visit. He is now living a rather charmed and comfy life with Sally’s sister. 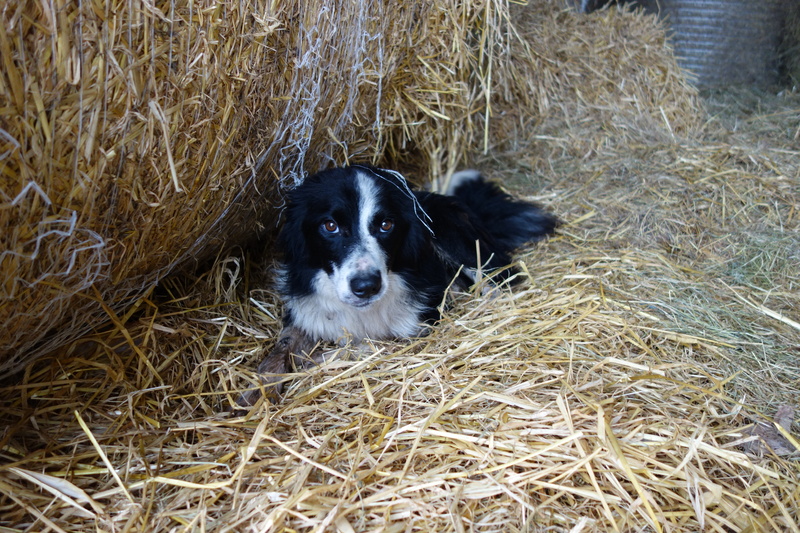 This farm dog is a gem, very friendly and loving and I am certain would be a fine shepherd for someones flock. Any takers?